The 19 images which were rated Highly Commended or Honours by Tony Whincup when he judged our Summer Salon on 25 March are now available. I’m sorry it’s taken so long – things have been rather busy with Natex. Either go to the GALLERIES menu on our home page where from a drop-down you can access all galleries, or you can get to them directly here. Enjoy. Thanks once again to all those who have been helping with various tasks for Natex. 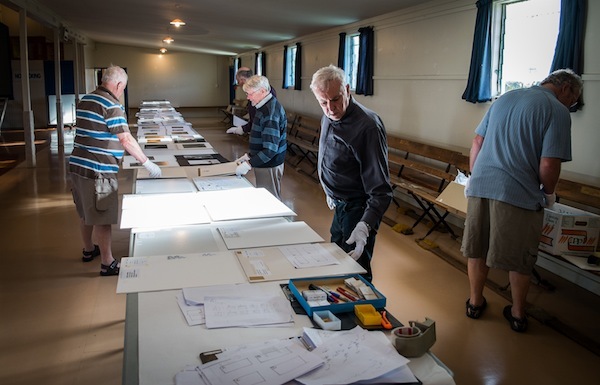 One of the recent jobs was to look at all the accepted prints in the Te Horo Hall, and decide on the exhibition layout. The Exhibition will be mounted in the West Gallery of the Wellington Town Hall next Wednesday. If you weren’t able to register for the PSNZ convention, you can still see the Exhibition. Best times for public viewing are on Friday and Saturday 3 and 4 May, from 9 am to 5 pm. Do check it out if you can. The following newsletter is kindly provided by Michael Martin. While intended for the members of the Monochrome Film Users Group, it should be of wider interest to others, including prospective members. 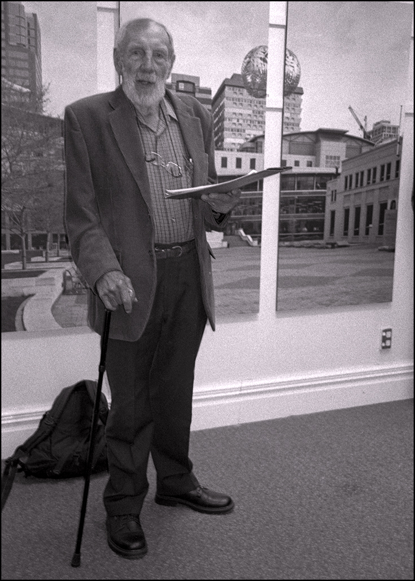 The next meeting is on Thursday 18th April at the home of Bill Harris, at 12 Kohekohe Road, Waikanae at 1930. This is the first newsletter for 2013 and we have had two meetings covering a variety of topics which included:- keeping FB prints flat; pre-exposure; different prints from the same negative; using hypo clearing agent; comparison of different printing method; Rodinal Special developer examples; print and negative critiquing and discussion of our own and other exhibitions. And mentioning exhibitions I think our group should be rightfully proud of our “Monochrome X 10” exhibition held at the Odlins Gallery from 16th to 27th of January. It was Odlins gallery most successful exhibition to date and we have been welcomed back to hold another one which we have agreed should be in approximately two years. Many thanks to Iris and the Odlins Gallery supporters and all who helped, including ourselves, who made it work. A lot of work but all agreed a worthwhile and rewarding result. We now need to get into the darkroom and start on a fresh portfolio for the next exhibition. Four of our group, Arthur, Brian, Fred, myself plus Tanya my daughter, met on the Wellington waterfront early Saturday morning March 16th for a photo shoot. An enjoyable couple of hours spent photographing the waterfront with just the right amount of cloud cover to make it interesting. I tested out my recently acquired 6×12 medium format back for my 4×5 Linhof, a format which I like and will spend more time pursuing. Our shoot was concluded with a cuppa and chat in a local cafe and then off home to develop the mornings results one of which is shown in this month’s images. This month’s first image was captured with a Nikon 35Ti on 35mm Kodak 400 TX film developed in Agfa Rodinal Special. Peter Bush Opening the Monochrome X10 Exhibition – by Michael Martin. The second image was captured on 120 medium format Kodak TMY 400 T-Max with a 6x12cm back, attached to a 4x5inch Linhof camera and also developed in Agfa Rodinal Special. Port Nicholson Marina – by Michael Martin. 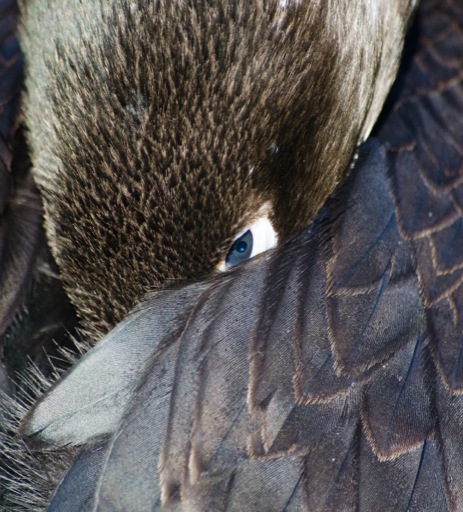 “I do not object to retouching, dodging, or accentuation as long as they do not interfere with the natural qualities of photographic technique.” – Alfred Stieglitz, 1864 – 1946, American photographer. This is a great opportunity for those members who have not submitted any images for judging in our Salons, but would welcome feedback on their work by their peers in a non threatening environment. Also for members who are regular contributors to our Salons it’s the opportunity to stretch your imagination, within the bounds of the Topic. If you are going to bring along prints they don’t need to be matted, but need to be large enough to be seen by the audience, so a minimum of 20cm x 15cm. If you are going to bring along digital images, it would be helpful if you could email them to Ian by Sunday night (i.linning@xtra.co.nz) and bring along your USB drive on the night. Come along and enjoy an entertaining and educational evening on Monday at 7:30 pm.